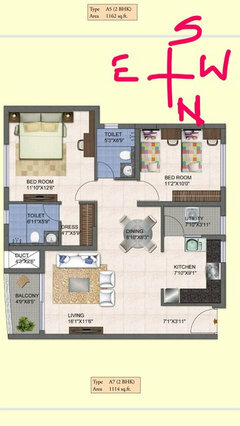 i am about to buy a small apartment which is under construction what are the things that i should ask builder to customize inorder to improve functionality.. pls help.. this is our first home . Functionality is change of Space for Some time in order to create Makeover. Eg. Living Space and dining can be replaced or convertible Dining . Since we use dining mostly twice a day so why to keep it all day. 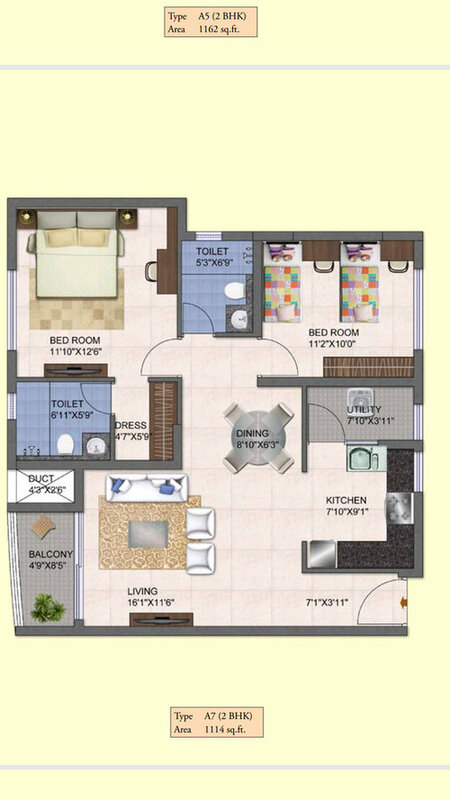 For More help please share your ideas or what do you want in your 2BHK space. Do you have the directions marked in the brochure. This place is designed in a good manner. Only thing which could be looked into is the width of the bathrooms. Its a bit on the higher side cutting that will give additional space in the rooms. Pooja Unit can come on the wall of the dressing area. Sink may not be required as the bath sink is already close by to the dining. You would need to store the shoes vertically in a sleek unit as there is not much space for that. Alternatively, You may also ask builder to remove the sink from common bath , push the wall a bit in and have a open sink outside. I can understand your concern. Sales executive often lure people with misinformation. Hopefully, with RERA there must be a more standardised comparable properties details available. If you believe in directions, then you need to change the layout or at least interchange your rooms, Otherwise its ok unless you have some specific doubt. And you can surely squeeze the bathroom walls as the standard width is 5', which is sufficient and you get some more space for your bedrooms. For more direction related queries you can ask me. hi, please tell me your actual requirements. Need Help for small living space!! How/What sofa to replace/utilize this living room space ? White glossy subway tile in India?